I'm not usually one for party dresses, but I've been waiting so long to find the perfect fabric for this pattern and by chance, it came along just in time for the festive season! 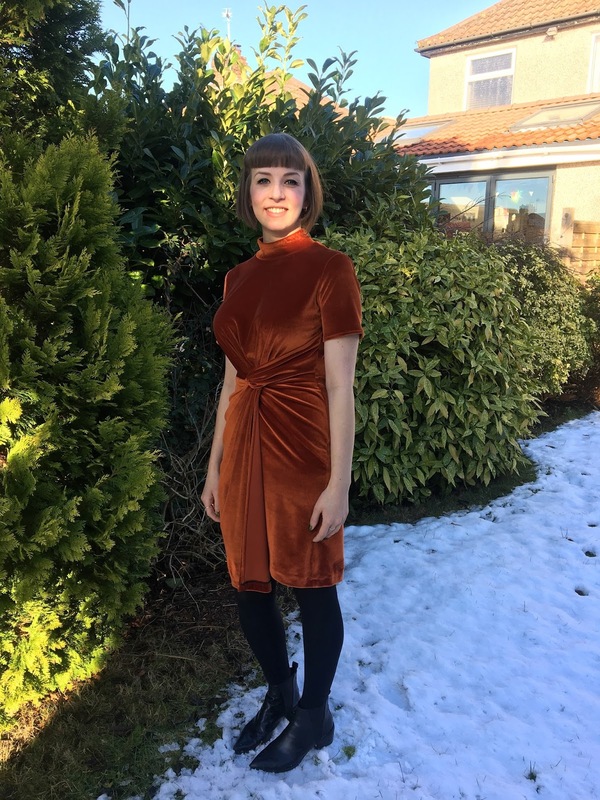 My sewing progress has been hampered by hit and miss fit in recent months, which has been really demotivating - I'm finding a change in measurements really difficult to adjust to - so I'm totally relieved and thrilled to report a success in fit for my final make of the year: the McCall's M7429 dress. 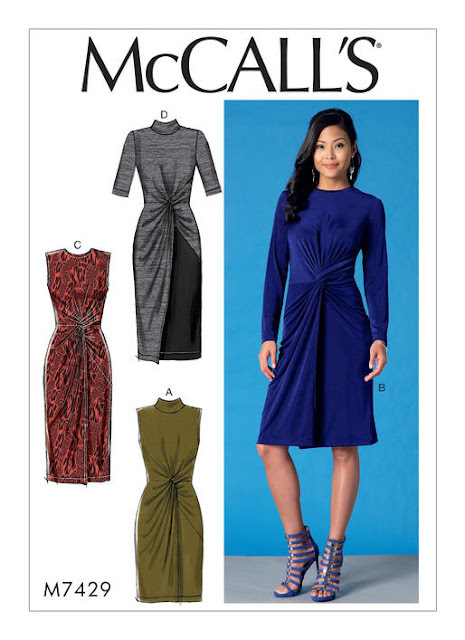 I picked the pattern out as a prize from The Fold Line (I think for my review of the Waver Jacket?!) 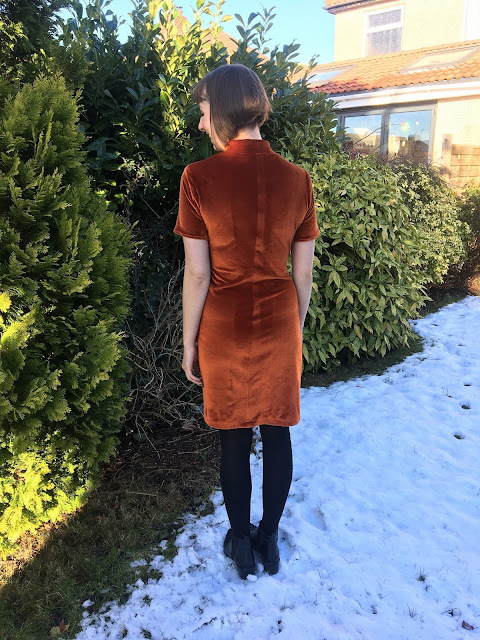 over a year ago, and always had velvet in mind for it, but just never came across the right one. The pattern requires a knit with two-way stretch, which adds an extra layer of challenge to finding the perfect fabric. I had a few hours to kill on a recent trip to London and finally made it to Goldhawk Road for a proper shop. I'd been in nearly every shop before coming across this amazing orange stretch velvet in the basement of Fabrix, at only £11 for a couple of metres. 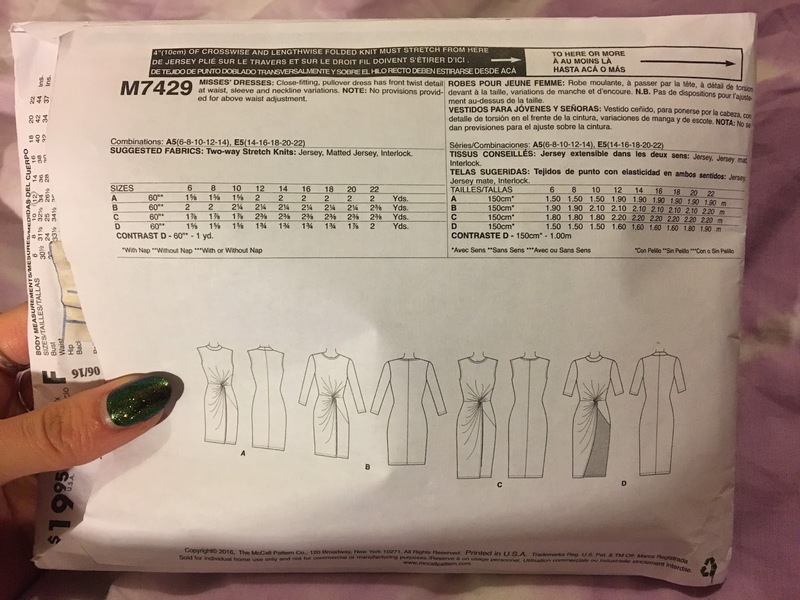 I was quite frustrated to find that there are no finished garment measurements listed (though I guess this could depend on the amount of stretch your chosen fabric has). There is at least a guide on the pattern envelope showing how far your fabric should stretch in both directions, but I had no idea how much famous 'big four ease' the pattern might have. My fabric stretched a tiny bit less than required in one direction and my measurements aligned most with a size 12, so I stuck with that, cutting view A, as well as the short sleeves seen in view D.
In theory, this dress should be quick and easy to make up, but if you've tried this pattern and are a sensitive sewist like me, you might have shed at least a few tears over it from step 9 onwards. 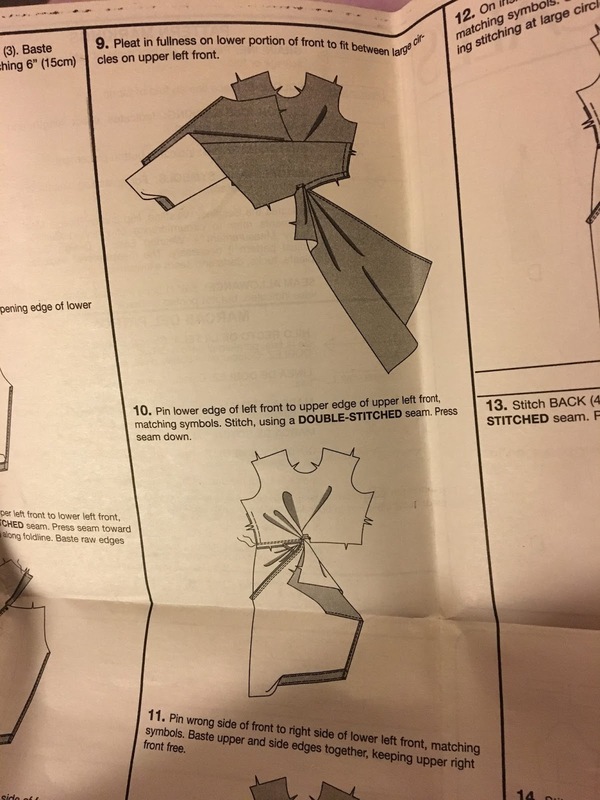 The instructions to create the twist on the front are honestly amongst the WORST I've ever seen. I was stubbornly determined to figure it out on my own, but my first attempt was so bad that I couldn't even face taking a picture. I unpicked the whole thing and turned to the internet for help. I found and followed Brittany J Jones' brilliant tutorial on her YouTube channel and after spending all morning getting the twist wrong, it took me just 20 minutes to get it right. I can't thank Brittany enough for clearly explaining the cryptic instructions and judging by the comments, other people have had very similar experiences. Definitely don't attempt this dress without giving it a watch! Extra points if you can spot stealth cat Enzo in the background! Once the front is sewn together in one piece, the rest of the make is really straight forward and quite similar to constructing a garment like the Papercut Patterns Rise/Fall Turtleneck. 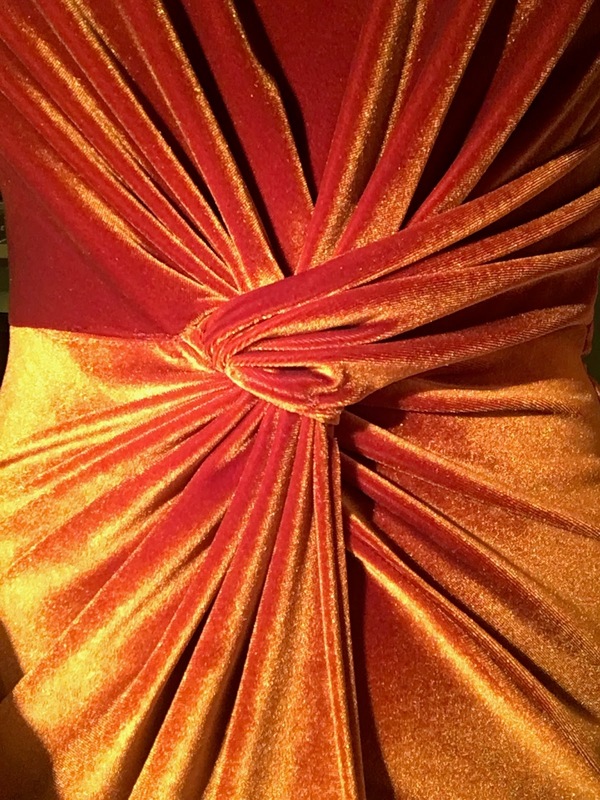 I used a walking foot to help with sewing the velvet and finished edges with the overlocker. The velvet was slightly trickier to cut out and creates a bit of extra bulk at some points, but it works really well with the pattern overall. The underside of the front skirt piece keeps trying to poke out a little as you can see in the picture above, so this might be something to bear in mind when it comes to picking a fabric. I did a couple of extra stitches by hand at the knot to try and keep it in place, but I don't particularly mind. I actually think the twist front is really flattering from all angles, regardless of the underside making the odd appearance! I used a cloth to help with pressing the seams, but from the markings on the back it looks like I wasn't being all that careful. 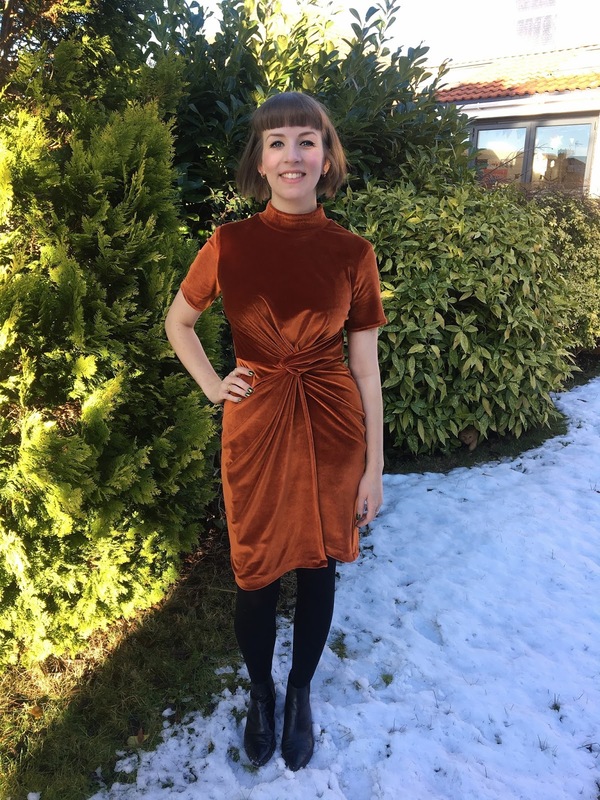 Again, I'm pretty pleased with the finished dress on the whole, so I can't really say that I'm too bothered by it! A few pressing marks on the back never hurt anyone. I took 3" off the length of the sleeve as they looked a bit frumpy before and a shorter length seemed more flattering on me. I think the fit in all is just about right, though if you prefer a closer fit and have a good amount of stretch in your fabric, you could definitely play with down-sizing - I would probably downsize myself if I made it in a lighter weight fabric. 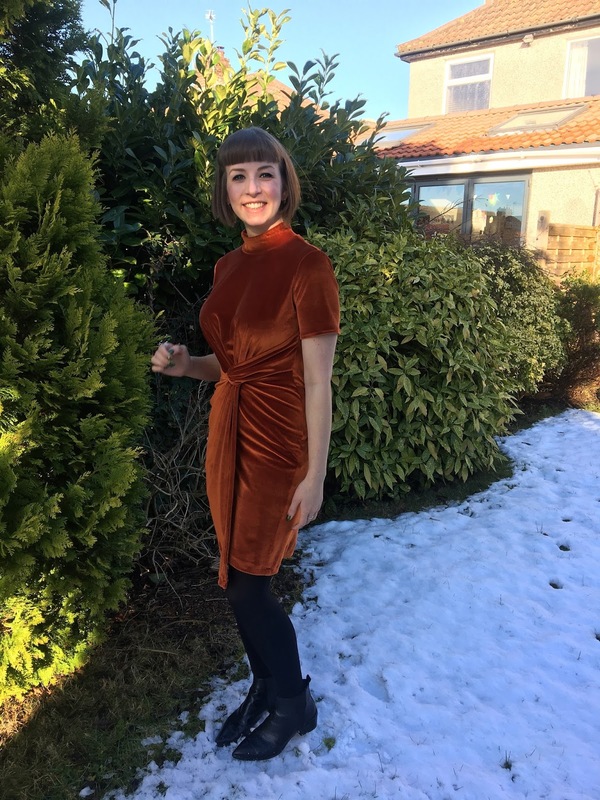 I wore my finished dress on Christmas Day and will be getting it back out for New Year celebrations! 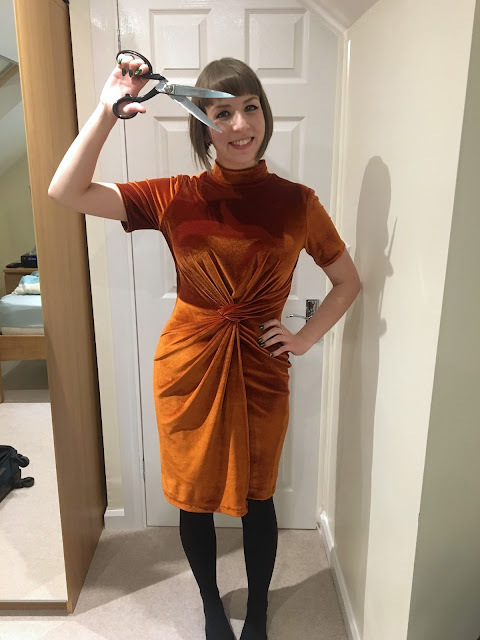 If I can find an interesting jersey then I'd definitely be up for making it again, perhaps as a dress for work - though I definitely won't be attempting it without help from YouTube next time! 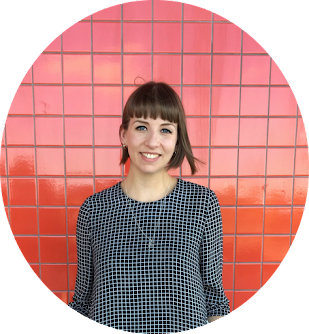 Thanks Brittany for well and truly saving the day with your tutorial! Has anyone else tried this pattern or finding themselves tempted to give it a go? Wow, I loved what I saw on Instagram and I love it even more here. You look a million bucks in your dress Shauni. This looks amazing on you! Colour, style, fit, everything. 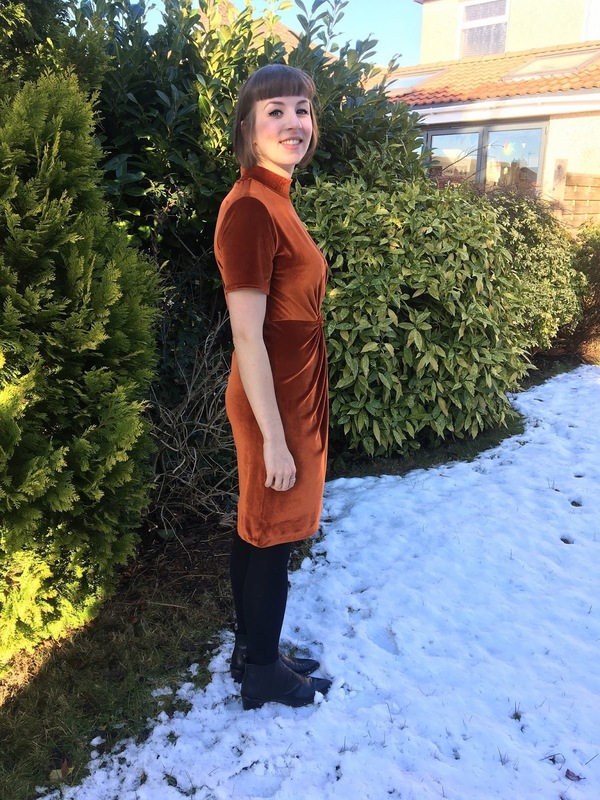 The dress looks stunning on you - and the perfect colour! Wowsers!!! Your dress is fabulous, and I love the colour. And yey to the interwebs for help with the pattern instructions. This is so beautiful! 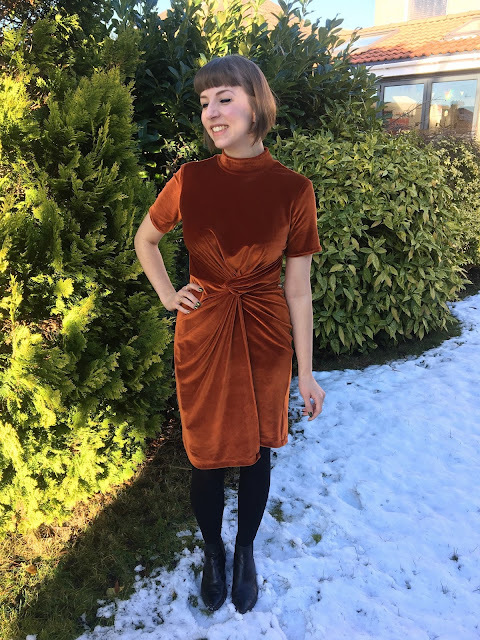 I'm loving this velvet/velour trend! This is hands down the most fabulous dress I've ever seen... I'm inspired to make my own! !